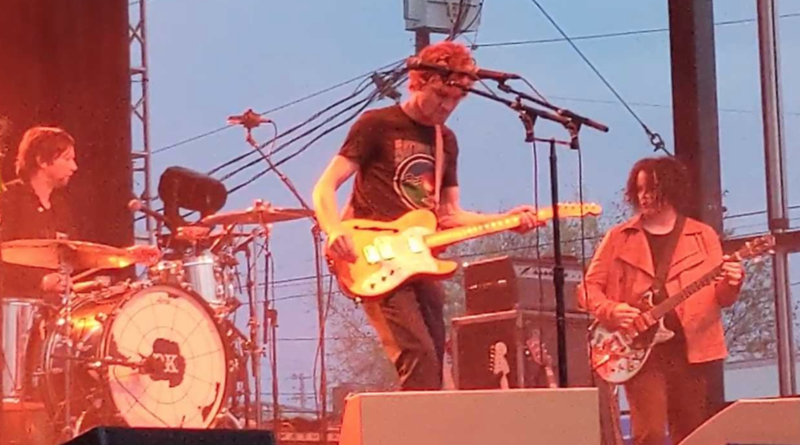 The Raconteurs’ Jack White, Brendan Benson, Jack Lawrence, and Patrick Keeler made their live comeback at Third Man Records’ 10th anniversary concert in Nashville on Saturday, marking the foursome’s first on-stage appearance in eight years. After being introduced by White’s mother, the band ripped through a 15-song set that leaned heavily on material from their upcoming third album, Help Us Stranger. They debuted “Sunday Driver”, “Now That You’re Gone”, “Bored and Razed”, “Help Me Stranger”, and “Shine the Light on Me”, along with two other new songs. They also played past favorites like “Consoler of the Lonely”, “Level”, “Salute Your Solution”, “Steady As She Goes”, and “Caroline Drama”. Watch fan-captured footage of the performance below, and head to our Instagram to see more photos and video from Third Man’s celebration. Help Us Stranger is due out June 21st. Next week, The Raconteurs will embark on a tour of New Zealand and Australia. They also have shows planned throughout Japan, Europe, and the US in the coming months. See their as-yet-announced schedule below.